This is such an awesome idea and I cant believe no one has never thought about doing something like this before. The Bicycle Academy has been set up so that individuals can learn how to make a bike frame. In many peoples cases building their own bike frame is something everyone has always talked about but have not got the skills to do so. Fear not though as you will be in good hands! You will be taught by the legend in the mountain bike frame world Brain Curtis. (I’m sure you don’t need me to tell you what bike frames he builds). Once you have built your bike, learnt the valuable skills, your first bike frame will go to someone who really needs it. Such a simple idea! “The Bicycle Academy is a new enterprise providing people with the skills and facilities to design and make their own bikes. 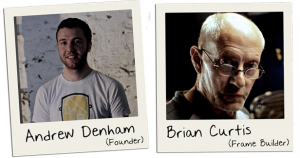 Frame building will be taught by the legendary Brian Curtis as evening classes or short weekday courses. As part of the learning process each student will make a frame designed specifically for use in Africa. Once graduated students will be able to use The Bicycle Academy workshop to hone their skills and build their own frames. Now, to get the project up and running we’re crowd funding The Bicycle Academy and that’s why we need your help. Our crowd funding campaign started on the 1st of November and will finish on the 13th of December. We’ve got the workshop, but haven’t got anything to fill it with – We need to buy brazing stations, a lathe, a pillar drill, jigs and a full complement of bike tools, so please support us by making a pledge. So if you are interested in attending The Bicycle Academy head on over to their crowd funding page and get involved! The Bicycle Academy workshop is only down the road from us in Frome, Somerset. If you are not a local to the area and would still like to attend the Bicycle Academy, we have placed a small map below to help you. 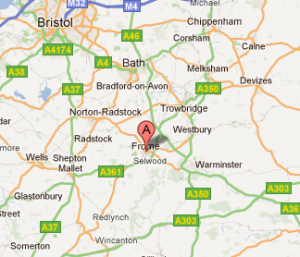 If you are travelling from outside the area to The Bicycle Academy ,Frome has plenty of B&Bs and hotels local to the area. The Bicycle Academy - Crowd Funding from The Bicycle Academy on Vimeo. You can keep up to date with the Bicycle Academy via their website and Facebook page, so please help spread the word about this great event!